When we talk about themes, we don’t mean a frivolous throwaway theme. We mean a theme that reflects a strategic focus for your event or away day. Having a theme helps to make the day cohesive and gives a focus to your messaging. If you are planning an internal event or away day, focus your theme around the purpose of the day. You may want to encourage people to spend time brainstorming away from the office environment or get them to think outside the box. Perhaps you want to work on effective team building or re-energise and motivate a team of people within the business. If you are getting people together to plan for the future then your theme could be “Looking to the Future” or if you want to reinforce the ethos that your expanding company, is one team, then “One Team” focuses the message simply and effectively. If you are holding a corporate event, announcing your theme in advance will help your audience to anticipate what they are going to get when they book onto the event as a delegate and will help engagement. By using a themed hashtag on social media for your event, you can start the conversation early and promote engagement of the likely issues to be discussed. By focusing on a theme, you can spark debate and use your event or away day to make sure you make meaningful connections between issues and that people take away some learning from the day. 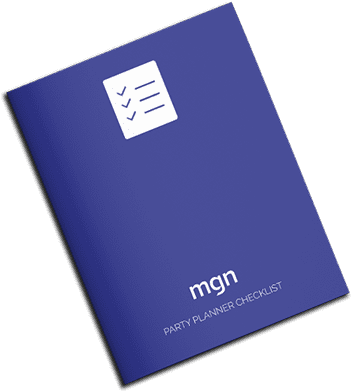 If you have planned an event or away day that is designed around clear objectives and goals then you must ensure that your post event survey allows you to measure whether those objectives were achieved. The key to any good away day or conference is solid event planning, so pick a theme that reflects the nature of your event and helps you to achieve your goals. Get in touch with our experts today if you would like help in selecting a theme for your conference or away day.